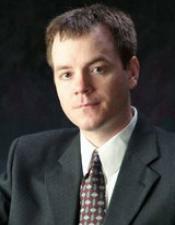 John W. Bowman received a Bachelor of Science in Computer and Information Science, specializing in Hardware Systems, in 1996 from the Ohio State University and a Juris Doctorate from the University of Akron School of Law in 2006. He is currently seeking admission to both the Washington State Bar and the U.S. Patent and Trademark Office. He interned with the Department of Defense Logistics Agency, working with a massive database across many hardware and software platforms. He has experience with programming in C, and has extensively used SQL. He also interned with Asea Brown Boveri (ABB) developing databases in RPG on an AS400 platform. John is a member of the Ohio State Bar Association, the American Bar Association, the Intellectual Property Technical Law Association, and the American Intellectual Property Law Association.